Providing an economical solution for measuring water flow bi-directionally in a variety of applications, this new model is easy to install, as being a clamp-on ultrasonic meter, there is no requirement to tap or cut the pipe. Simply attach the meters sensors to the outer structure of the pipework. This makes the TFX-500w ideal for existing projects, as retrofitting to existing systems is simple, and doesn't require any system shut down time. 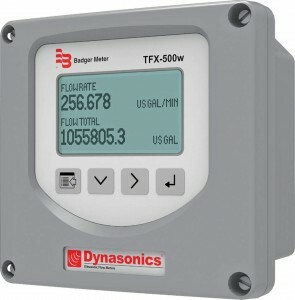 There is no loss of pressure thanks to the non-invasive design of this ultrasonic flow meter and the device is capable of measuring flow rate, velocity and water flow. Complete with a large and user-friendly, easy to read display.